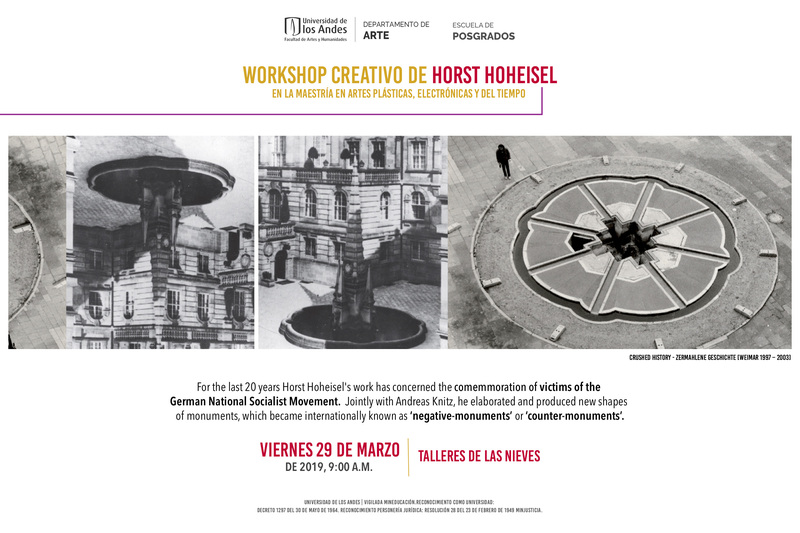 Workshop creativo de Horst Hoheisel en la Maestría en Artes Plásticas, Electrónicas y del Tiempo. The German artist was born in Poznan, Poland, in 1944. While graduating in Forest Sciences, he also attended classes as an auditor student at the Academy of Arts, in Munich. 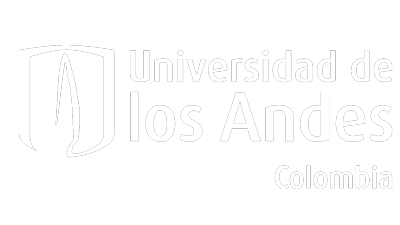 Hoheisel promoted the ecological analysis of a tropical forest in Venezuela, at the Forest Engineering Institute for the study of the tropics, at Göttingen University, as a scientific assistant. While attending classes at the Kassel Academy of Arts, Hoheisel lived amidst a Yanomami Indian tribe at Orinoco, Amazon, Brazil, and also made several trips to the Sahara. For the last 20 years Horst Hoheisel’s work has concerned the comemmoration of victims of the German National Socialist Movement. Jointly with Andreas Knitz, he elaborated and produced new shapes of monuments, which became internationally known as ‘negative-monuments’ or ‘counter-monuments’ (www.zermahlenegeschichte.de). Besides the memory of open air landmarks, his works also belong to the patrimonies of several international museums (Museum of Modern Art, NY; the Jewish Musuem, NY; Yad Vashem, Jerusalem; Jüdisches Museum, Berlin; Deutsches Historisches Museum, Berlin; Gedenkstätte Deustscher Widerstand, Berlin; Staatliche Kunstsammlungen Kassel, and others). The drawings Life-signs are shown the first time in the Museu Lasar Segall, Sao Paulo. Para el taller me gustaría mucho trabajar con el material, que las/los estudiantes y artistas traigan. Cada uno debería traer un objeto del tamaño de la mano de su alrededor cotidiano, que tenga que ver con el conflicto en Colombia. Pueden ser objetos de cualquier clase. Estoy curioso de entender estos objetos y sus narraciones relacionadas sobre el conflicto y las condiciones para la paz. Podremos trabajar en el taller creativo con estos objetos. Muchas Gracias!